In recent days the number of German FinTech startups included in our FinTech Money Map database has blown through the magical 400 threshold. 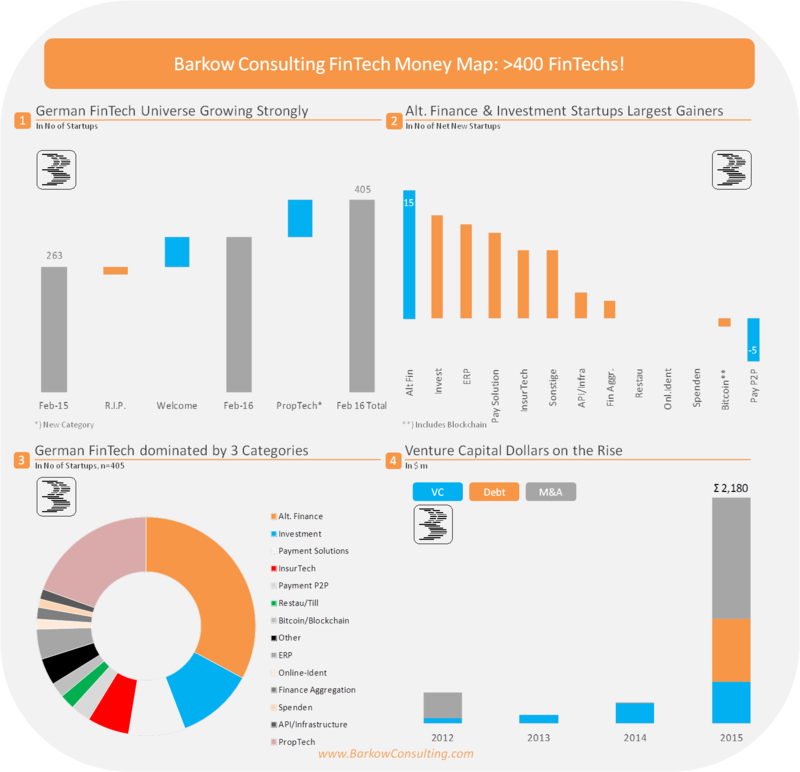 We took this as a sign to shed some light on growth momentum and composition using our proprietary Barkow Consulting FinTech Money Map database. As a note of caution, we would like to state that the growth rate of our data base might be positively biased by an increased sector coverage. E. g. some startups might have existed before, but were included only during the last 12 months. A part of this bias is mitigated by the fact, that we will never be able include 100% of the market at any given time. Despite all efforts, we are likey still underestimating the current number of FinTech startups.